One of the best ways you could ever hope to enjoy coffee is by roasting it yourself. When you roast coffee at home, you guarantee that every cup of coffee you make will be fresh and, with a little practice, you can ensure that it is roasted exactly to your taste. While you can always head to your local coffee shop or roaster and find this type of coffee, why not instead roast it yourself so you can begin to create superb cups of coffee from start finish right in your own home? In order to roast coffee at home, you’ll need a few supplies and a source of green coffee beans. It’s also important to understand the process from start to finish so you can better understand how your roasting can impact the flavors of your coffee. What Is Coffee and Why Do We Roast It? Coffee is actually a small red fruit that must go through many different stages before it reaches your cup each morning. First, coffee is processed to remove the outer skin, pulp, and inner parchment skin. Once that is complete, the inner seed, otherwise known as the coffee bean, is dried. When it’s dried it becomes the green coffee bean that is shipped around the world for roasting. The coffee bean is like a dry pinto bean, meaning it can be stored for long periods of time and still become fresh once it goes through the roasting process. If you didn’t roast coffee, the drink would be bitter and very acidic, making it essentially undrinkable. Roasting gives coffee its unique flavors and aromas. What Happens During the Coffee Roasting Process? Green coffee changes drastically during the roasting process. When you roast coffee, moisture is forced out of the bean, causing it to dry and expand. During the process, some of the natural sugars are converted into CO2 gas while others are caramelized into some of the flavors that help form the complex flavors in the coffee. When the process is complete, the green bean will transform into a brown bean that is about 18% lighter while being 50 to 100% larger. As soon as the roasting process is complete, the coffee begins to “degas,” and in as little as a week or two, the roasted coffee will have already begun to lose some of its flavor and aromas. Green: The beans will retain their virgin green essence, even as they start to heat. Yellow: The color will become yellowish, and the beans will emit a grassy odor. Steam: Steam will rise from the beans. This is the water inside the beans evaporating. First Crack: Here’s where the real roasting begins. Sugars inside the beans caramelize, and a cracking sound is heard, like the sound of popcorn popping. City Roast: Following the first crack, the beans have reached City Roast, the minimum level of roast acceptable for grinding and brewing. City Plus Roast: With further caramelization of sugars and the migration of oils, the beans swell in size and reach City Plus Roast. This is a popular and common level of roast to use. Full City Roast: Beyond the limits of City Plus is the Full City, an even darker roast that takes the beans to the verge of a second cracking. Second Crack (Full City Plus Roast): The beans undergo a second, more violent cracking and enter Full City Plus. This roast will reveal even more layers of intensity to the flavor. Dark Roast (French Roast): The smoke will become pungent, the sugars will burn as much as they can without ruining the flavor, and the beans overall structure will break down. This is the utmost limit of roasting within the confines of good flavor. Burn: If you haven’t stopped roasting by this point, the smell will go from pungent to terrible, and the beans will burn. During the roasting process, the coffee beans will shed their outer skins, leaving behind the shell which is known as the chaff. To remove the chaff, take 2 colanders and dump the hot beans into the colander as soon as you are done roasting. Continue to dump the beans back and forth between the two colanders a few times to remove the chaff. If you don’t get it all don’t worry about it. The taste of your coffee won’t be affected by the chaff as long as there is only a small quantity of it left behind. Green Coffee – Depending on where you live this could be the most difficult part of your roasting process. Check with your local coffee shops or look to see if there are any roasters in your area that sell unroasted coffee beans. Roaster – There are many different types of roasters out there and even a simple popcorn maker can do the job. Below we will highlight a few of the methods and what type of roaster you should use. Storage – Once you roast your coffee, you will need a place to store it until you use it. Remember, the more air tight the better. But even the best container won’t stop the coffee from losing its flavor and aroma after about a week if it isn’t used. Now that you have everything you need to roast, it is time to get started. Keep in mind that for the roasting process to be successful, the beans must be heated to temperatures between 370 degrees F to 540 degrees F.
When you roast, be sure the beans remain in constant motion so none of them become scorched. You should also be aware that the roasting process produces quite a bit of smoke, so be sure the area you are roasting is well ventilated or your house will quickly become quite smoky. Today you can buy several different types of roasting machines that will take care of your coffee roasting process for you. These machines operate much like a popcorn popper by using fast-moving hot air to roast the beans and keep them agitated while they are roasting. This is by far the easiest method of all of them as the roaster handles most of the heavy lifting for you. Place the proper amount of coffee inside the roaster. Check your manual to determine the correct amount. Close the roaster and turn it on. Allow the coffee to roast until the desired color has been reached. Remember, the longer you roast the coffee, the darker and stronger it will become. Pour the coffee into a colander and stir it until it is warm. Store the coffee in a room temperature location away from the sun. Before the modern inventions of coffee roasters and popcorn poppers, people made due by roasting it on the stove. 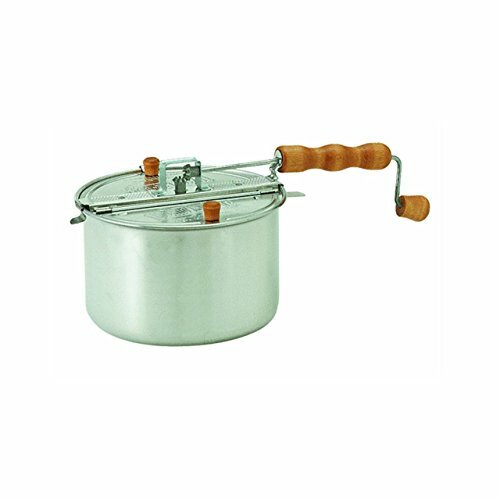 You will need a stovetop roaster, which is essentially a pot with a lid that you can easily agitate. Hit your favorite local coffee supply store and select some unroasted green coffee beans. Don’t be shy about asking for recommendations regarding how dark the beans you choose should be roasted. That said, don’t be shy about finding out for yourself, experimenting, and learning how to roast to your own taste. With beans acquired, clear off the picnic table and set up your burner, popper and baking sheet. Pre-heat the Whirley Pop until it reaches about 400 degrees. A laser thermometer is the best way to gauge the temperature, but simply pre-heating for anywhere between 5 and 10 minutes should put the popper in the right range. Once the popper is at temperature, add the raw beans and begin cranking the handle. You’ll want to keep those beans moving the whole time in order for them to roast evenly, so crank away from start to finish with a steady, even rhythm. Remember, this is a labor of love. As you crank, the heat will bring the beans through the stages of roasting. You’ll watch as they go from the raw seeds that coffee begins life as to the beautiful, fragrant pellets of deliciousness you turn them into. Pay attention, because the difference between perfectly roasted and perfectly ruined is only a matter of minutes. As the beans roast, they’ll pass through several stages. You’ll get to see the transition they make from raw to grind-and-brewable, and decide exactly how roasted you want them to be. It’s important to pay attention to the process here- to control the flavor of your coffee, to learn how to master the process, and (most importantly) to keep the beans from burning. There are ten stages in all. See if you can identify each as you roast, with the exception of the tenth. That stage is to be avoided, as it represents having over-roasted perfectly good beans. Once you’ve reached the roast of your choosing, dump the beans onto a baking sheet. Shake the sheet and allow the beans to cool in nature’s breeze, sending jealousy-inducing wafts of goodness into the neighbor’s yard. Depending on how dark the roast is, you’ll soon be ready for storage. Once the beans are nice and cool, store them in a quality airtight container. Mason jars are the best option, as they create a near-perfect seal. If the roast is Full City or darker, we recommend giving the beans a good 12 hours of cooling time to allow gasses to dissipate before storage. All that’s left to do after that is grind, brew, and savor the day’s roasting. In under 20 minutes from start to finish, you’ll have fantastic, home-roasted coffee. An air popcorn popper is an easy way to roast coffee and is recommended for any beginner who wants to start roasting their own beans. It takes only a few short minutes, and allows you to experiment with the roast. Make it light, make it dark; make it everything in between. For turning coffee into a hands-on experience, you can’t beat roasting your own in a machine that for years has only been doing half of the awesome things it’s capable of. Start by gathering all the necessaries in the list above. Hit your preferred local bean dealer (they love it when you call them that) for some raw, green unroasted beans. Pick up a few different varieties, and ask how “well done,” as in dark, your trusted baristas like to roast each one. At home, give yourself plenty of counter space for the popper, bowl (for catching chaff), and a baking sheet to cool the beans later. 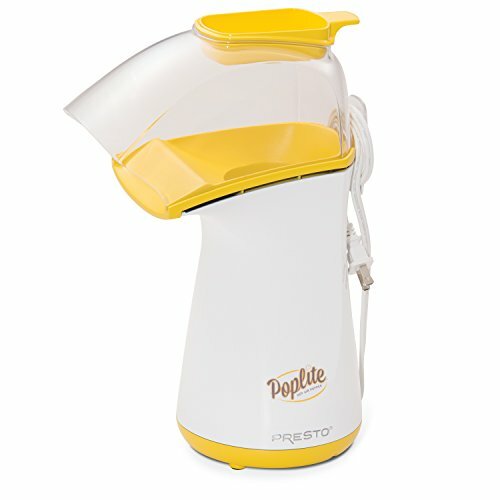 Turn the popper on and pre-heat for about 30 seconds. Once the popper’s good and hot, add 1/2 cup of beans to the vessel. The whole roast will only take about 5 minutes, but you’ll need to stay close by to monitor the beans through the various stages of roast. DO NOT leave the popper unattended. Once you’ve reached the desired roast, shut off the popper and spread the hot beans on the baking sheet. This will allow them to cool quickly. Give the sheet a shake to help the process along, and wait until they are completely cooled before storage. Once the beans have cooled down, you’ll want to store them in an airtight container. We prefer mason jars or tinted OXO containers. However, you’ll want to give the beans up to 12 hours before storing them if you’ve gone Full City Roast or darker, as the gasses from the beans will need more time to dissipate. Once the beans are cooled and stored, it’s time to grind and brew the first cup’s worth. Take your time, and enjoy the fruits of your labors. 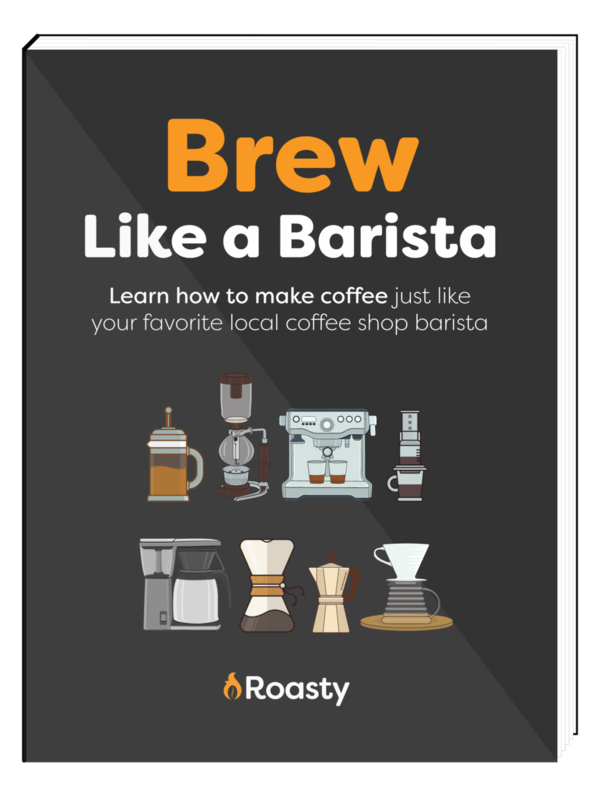 See what characteristics you can coax from the beans at different roast levels. After you’ve mastered the art, you’ll never look at the popcorn machine the same way again. 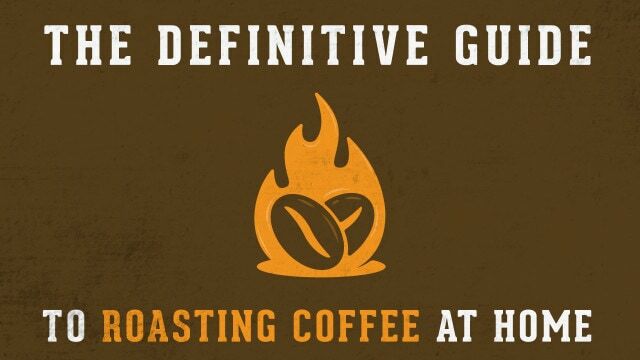 These three methods are just a few ways you can try roasting coffee at home. For the truly adventurous, or at least for the grilling fanatics, you could always try roasting the beans in a pan on the grill, or even roasting them in a roaster over a camp fire as well. The possibilities are almost limitless as long as you have a few good containers and a heat source for the roasting process. Roasting coffee at home is actually a relatively easy process and it allows you to create your own custom, unique tastes in your morning cup of joe. While you are trying your hand at roasting, feel free to experiment using different methods and try roasting the beans for different lengths of time so you find a roast of coffee that fits with your taste preferences perfectly.